Born Sean Paul Henriques on January 8, 1973, the multi-ethnic Paul (his parents had Portuguese, Chinese, and Jamaican blood) grew up comfortably in St. Andrew, Jamaica, his mother a renowned painter. He was a skilled athlete, excelling in swimming and especially water polo, playing for the Jamaican national team in the latter. Although his education was enough to land a prosperous career, dancehall music remained Paull's first love, particularly crafting rhythm tracks. He became a DJ after he began writing his own songs. Since Sean Paul exploded onto the scene with Dutty Rock three years ago, he's become the most high profile reggae artist in the world and the first man the big US stars, such as Beyonce and Blu Cantrell, turn to when they want to add some authentic Jamaican vibes to their tracks. It would have seemed safe to assume that his eagerly anticipated follow-up would feature numerous big name guest stars and several R&B grooves. However, that's not the case. After leading the charge for dancehall's mainstream influx, Sean Paul returns to his grittier roots on The Trinity. For his album number three, Grammy-Award winner mixes dancehall, hip-hop and reggae. It was recorded entirely in Jamaica and boasts some of the most well known producers on the island's dancehall circuit. Only one track, Connection, features a US act, Nina Sky. The slick beats that Tony Touch and the Neptunes provided have been replaced by such lesser-known producers as the Renaissance Crew (We Be Burnin') and Lenky (Ever Blazin'). And while hip-hop heavyweights like Busta Rhymes appeared last time, the new collaborations are with such artists as Wayne Marshall, who, although highly successful on the dancehall scene, has yet to enjoy mainstream success. 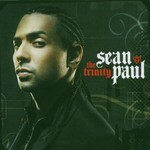 The Trinity is track after track of uptempo beats and Sean Paul distinctive voice. While none of the songs has quite the immediate reach-out-and-grab-you effect of Get Busy off his previous album or Baby Boy, his collaboration with Beyonce, there are some standouts, like the first single, We Be Burnin' and I'll Take You There. This album has 18 tracks, and takes on a slightly philosophical bent as Sean Paul bemoans violence in his homeland of Jamaica, and advises that life is a gift to be treasured. It's to his credit that Sean Paul has returned to the roots of dancehall and The Trinity perfectly captures the exciting sounds of the scene at street level with its strong beats and skillfully delivered rhymes. This album should emulate its predecessor's success. The lack of big-name guests may make it hard to woo new fans, but those who preferred Paul's earlier work will be happy to hear he has returned home.